This formula combines premium-quality raw meat with hand-selected fruits and vegetables — to give your dog the nutrition it needs to live a long, healthy life. Because of its unique freeze-drying process, Dr. Marty Nature's Blend is the most effective formula for canine longevity. Does each dog breed need a different food? They do not! I designed this formula to be the best overall diet for dogs of any breed, and in any health condition. The nutrient profile contains every ingredient your dog’s body needs to live its longest, healthiest life possible. Most dog food companies cook their food extensively — which strips it of all the nutritional value. 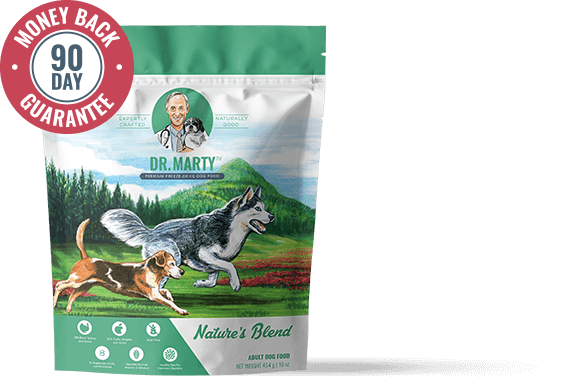 Dr. Marty Nature's Blend is designed to mimic what your dog would eat in the wild — while also ensuring your dog gets the maximum nutritional content from every meal. How do I prepare Dr. Marty Nature's Blend? It’s easy to prepare — simply pull out the number of nuggets that are recommended for your dog’s age and weight, then add water. Three minutes later, the food is ready to eat! What if it doesn’t work for my dog? Is there a guarantee? Absolutely. As a veterinarian, I take canine nutrition very seriously — and I’m honored that you trusted me with your dog’s diet. However, if you and your veterinarian don’t see a noticeable improvement in your dog’s health and happiness, please let me know. 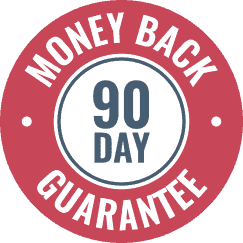 You can send back the unused portion, any time within 90 days, and I'll return your money, no questions asked — guaranteed. 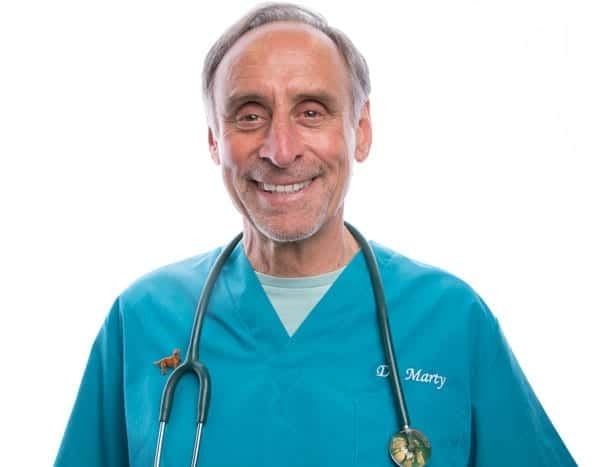 Dr. Martin Goldstein is one of America’s most renowned holistic veterinarians, and the acclaimed author of “The Nature of Animal Healing: The Definitive Holistic Medicine Guide to Caring for Your Dog and Cat.” For two decades, Dr. Marty has combined elements of nutritional medicine with nutrition, immune support and alternative treatments that have yielded incredible results.